After going to and from the dermatologist for face and body acne, he recommended that I use Dove sensitive bar soap. He explained that it is not only great for those with sensitive skin, but it also is not pore clogging. I have been using this product for a whole year and found drastic changes in the appearance of acne on both my face and body. Also, for those of you who are hunters, it is a great alternative for anti-scent soaps that are drying for the skin. 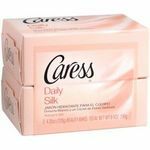 I use this daily, other soaps really dry out my skin, and some give me rashes, but not Dove sensitive skin, to save money I buy it on large packs from Box Stores or deals online, I stock up on it because soap doesn't go bad. This soap is the best, especially if you experiencing dry skin. I use this product because my son and I have ezcema. Not only it helps our skin but has a fresh long lasting smell. I have very dry skin and now that the weather is turning colder my skin dries so much more. 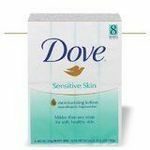 I use Dove Sensitive Skin Beauty Bar to help ease my dry skin. 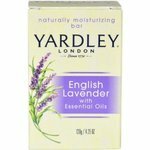 It keeps my skin moisturized and I don't feel like my skin is burning after showering. This smells great and lathers well to. I recently bought this for my daughter who has eczema, this bar was thankfully perfect for her skin. 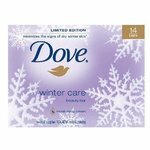 Most brands make her have a reaction and this dove bar was extra gentle towards her skin, I will be buying it again. I use everyday when im taking a bath, i love Dove sensitive skin because after use my skin look great and feel so soft and moisturizing. I recommended my mom.always use too, i usefor all my family. This is amazing for dry skin. works very well. restores your skin really well.